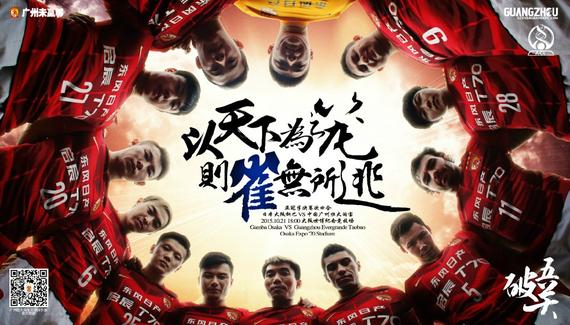 Guangzhou Evergrande Taobao Football Club is a Chinese professional football club that currently participates in the Chinese Super League under the license of the Chinese Football Association. The team is based in Guangzhou, Guangdong, and their home stadium is the Tianhe Stadium which has a seating capacity of 58,500. Their current majority shareholders are the Evergrande Real Estate Group (60%) and the e-commerce company Alibaba Group (40%). Guangzhou Evergrande Taobao’s 0-0 draw with Gamba Osaka at the Expo ’70 Stadium was enough for Luiz Felipe Scolari’s men to reach the final of the AFC Champions League. The first leg of the showpiece against Al Ahli takes place on November 7, with the return scheduled for November 21.